Today we’re with some historic records about Football world because we’re just around the world cup 2010 from south Africa, so we decide to share some thrilling results about FIFA Football world up with the help of wikipedia and world cup years these are best resource where we can get historic data about football world cup games. The FIFA World Cup, also called the Football World Cup, but usually referred to simply as the World Cup, is an international association football competition contested by the men’s national teams of the members of Internationale de Football Association (FIFA), the sport’s global governing body. The championship has been awarded every four years since the first tournament in 1930, except in 1942 and 1946 when it was not contested because of World War II. The current format of the tournament involves 32 teams competing for the title at venues within the host nation(s) over a period of about a month this phase is often called the World CupFinals. A qualification phase, which currently takes place over the preceding three years, is used to determine which teams qualify for the tournament together with the host nation(s). The World Cup is the most widely-viewed sporting event in the world; an estimated 715.1 million people watched the final match of the 2006 World Cup held in Germany. The next World Cup will be held in South Africa, between 11 June and 11 July 2010, and the 2014 World Cup will be held in Brazil. The 1930 FIFA World Cup was the inaugural edition of the world championship for international association football teams the FIFA World Cup. It was played in Uruguay from 13 July to 30 July. Internationale de Football Association (FIFA) selected Uruguay as host nation as the country would be celebrating the centenary of its independence, and the Uruguay national football team had successfully retained their football title at the 1928 Summer Olympics. All matches were played in the Uruguayan capital, Montevideo, the majority at the Estadio Centenario, which was built for the tournament. Thirteen teams, seven from South America, four from Europe and two from North America entered the tournament. Few European teams chose to participate due to the duration and cost of travel. The teams were divided into four groups, with the winner of each group progressing to the semi-finals. The first two World Cup matches took place simultaneously, and were won by France and the USA, who defeated Mexico 4â€“1 and Belgium 3â€“0, respectively. Lucien Laurent of France scored the first goal in World Cup history. Argentina, Uruguay, the USA and Yugoslavia each won their respective groups to qualify for the semi-finals. In the final, hosts and pre-tournament favorites Uruguay defeated Argentina in front of a crowd of 93,000 people, and became the first nation to win a World Cup. The semi-finals emphatically justified the seeding, Uruguay and Argentina crushed their opponents Yugoslavia and the USA by the identical score line of 6-1. Ballesteros, Nasazzi, Mascheroni, Andrade, Fernandez, Gestido, Dorado, Scarone, Castro, Cea, Iriarte. Scorers: Dorado, Cea, Iriarte, Castro. Botasso, Della Torre, Paternoster, J. Evaristo, Monti, Suarez, Peucelle, Varallo, Stabile, Ferreira, M. Evaristo. The 1934 FIFA World Cup, or the World’s Cup as it was known then, was the second football World Cup staged, and hosted by Italy from 27 May to 10 June. Italy was chosen as hosts by FIFA at the Stockholm congress of October 1932. It was the first World Cup for which teams would have to qualify in order to take part. 32 nations entered the competition, and after qualification, 16 teams participated in the finals tournament. Italy became the second World Cup champions, beating Czechoslovakia in the final, 2â€“1. Italy 2 (0) Czechoslovakia 1 (0) after extra time. Italy: Combi, Monzeglio, Allemandi, Ferraris IV, Monti, Bertolini, Guaita, Meazza, Schiavio, Ferrari, Orsi. Czechoslovakia: Planicka, Zenisek, Ctyroky, Kostalek, Cambal, Krcil, Junek, Svoboda, Sobotka, Nejedly, Puc. For the first time there was a play-off for third place, which Germany secured by beating Austria 3-2. The 1938 FIFA World Cup was the third staging of the World Cup, and was held in France from 4 June to 19 June. France was chosen as hosts by FIFA in August 1936. Italy retained the championship, beating Hungary 4â€“2 in the final. Switzerland 1 (1) – Germany 1 (1) after extra time. Cuba 3 (1) – Rumania 3 (1) after extra time. Brazil 1 (1) – Czechoslovakia 1 (0) after extra time. World Cup final, played on 19 June 1938 in Paris. Italy: Olivieri, Foni, Rava, Serantoni, Andreoli, Locatelli, Biavati, Meazza, Piola, Ferrari, Colaussi. Hungary : Szabo, Polgar, Biro, Szaly, Szucs, Lazar, Saz, Vincze, Sarosi, Zsengeller, Titkos. Italy: Colaussi (2), Piola (2). Hungary: Titkos (1), Sarosi (1). Referee : Georges Capdeville (France). The 1950 FIFA World Cup, held in Brazil from 24 June to 16 July, was the fourth FIFA World Cup, and the first staged in 12 years due to World War II. Brazil was chosen as the host country by FIFA in July 1946. It was also the first tournament that the trophy itself would be referred to as the Jules Rimet Cup, to mark the 25th anniversary of Rimet’s presidency of FIFA. It was won by Uruguay, who had won the inaugural competition in 1930, clinching the cup by beating the hosts Brazil 2â€“1 in the deciding match of the four-team final group (this was the only tournament not decided by a one-match final). Uruguay 2 Brazil 1 (wrongly identified as the final). Rio de Janeiro, 17 July 1950. The 1954 FIFA World Cup, the fifth staging of the World Cup, was held in Switzerland from 16 June to 4 July. As the year saw the 50th anniversary of FIFA, it was appropriate for football’s premier competition to be played in the home of its governing body, and Switzerland was chosen as hosts in July 1946. The tournament still remains as the highest average of goals per game. The tournament was won by West Germany, who defeated Hungary 3â€“2 in the final, giving them their first title. Half time scores in brackets. Hungary 4 (1) Uruguay 2 (1) after extra time. Morlock, O. Walter, F. Walter, SchÃ¤fer. Czibor, Kocsis, Hidegkuti, Puskas, J. Toth. Scorers: Morlock, Rahn (2) West Germany. The 1958 FIFA World Cup, the sixth staging of the World Cup, was hosted by Sweden from 8 June to 29 June. Sweden was chosen as hosts by FIFA in June 1950. It was won by Brazil, who beat Sweden 5â€“2 in the final for their first title. As of 2010, this was the only time that a World Cup staged in Europe was not won by a European team. The World Cup marked the debut on the world stage of a precocious, largely unknown 17-year-old known as PelÃ©. Vava (2), PelÃ© (2), Zagalo (Brazil). The 1962 FIFA World Cup, the seventh staging of the World Cup, was held in Chile from 30 May to 17 June. Chile was chosen as host by FIFA in June 1956, as the World Cup returned to the continent of South America after 12 years. It was won by Brazil, who retained the championship by beating Czechoslovakia 3â€“1 in the final. Garrincha, Didi, Vava, Amarildo and Zagalo. Popspichal, Scherer, Kvasnak, Kadabra and Jelinek. Referee: Nicholai Latyshev (Soviet Union). Zito, Amarildo and Vava (Brazil). The 1966 FIFA World Cup, the eighth staging of the World Cup, was held in England from 11 July to 30 July. England was chosen as hosts by FIFA in August 1960 to celebrate the centenary of the standardisation of football in England. England won the final, beating West Germany 4â€“2, giving them their first (and to date, only) World Cup win, and becoming the first host to win the tournament since Italy in 1934. Ball, Hurst, Hunt, Charlton R, Peters. Schulz, Weber, Held, Haller, Seeler, Overath, Emmerich. England 4 (1) West Germany 2 (1) after extra time. 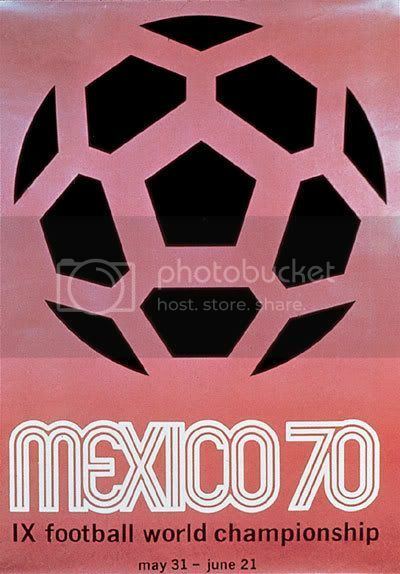 The 1970 FIFA World Cup, the ninth staging of the World Cup, was held in Mexico, from 31 May to 21 June. Mexico was chosen as the host nation by FIFA in October 1964. The 1970 tournament was the first World Cup hosted in North America, and the first held outside South America and Europe. In a match-up of two-time World Cup champions, the final was won by Brazil, who beat Italy 4â€“1. With their third World Cup triumph, Brazil were allowed to keep the Jules Rimet Trophy permanently. The Brazilian team, featuring the likes of PelÃ© (who was in his fourth and final World Cup), Carlos Alberto, Clodoaldo, GÃ©rson, Jairzinho, Rivelino, and TostÃ£o, is usually regarded as the greatest attacking World Cup team ever. They won all of their 6 games on the way to the title, and had also won all of their 6 qualifying games on their way to Mexico. This tournament saw the return of free-flowing, attacking play after the physical battles of 1962 and 1966, and is still considered by many fans to be the finest World Cup in history. England 2 (1) West Germany 3 (0) After extra time. Gerson, Clodoaldo, Jairzinho, PelÃ©, Tostao, Rivelino. Riva, Domenghini, Mazzola, De Sisti, Boninsegna (85 Rivera). Referee: Rudi Glockner (East Germany). The 1974 FIFA World Cup, the tenth staging of the World Cup, was held in West Germany from 13 June to 7 July. West Germany had been chosen in July 1966 as hosts by FIFA. The tournament marked the first time that the current trophy, the FIFA World Cup Trophy, created by the Italian sculptor Silvio Gazzaniga, was awarded. The previous trophy, the Jules Rimet Trophy, was won for the third time by Brazil in 1970 and awarded permanently to the Brazilians. The host nation won the title beating the Netherlands in the final, 2â€“1. The victory was the second for West Germany, who had won in 1954. Hoeness, Grabowski, MÃ¼ller, Overath, HÃ¶lzenbein. Resenbrink (46 Van Der Kerkhof). The 1978 FIFA World Cup, the 11th staging of the FIFA World Cup, was held in Argentina between 1 June and 25 June. Argentina was chosen as hosts by FIFA in July 1966. The 1978 World Cup was won by Argentina who beat the Netherlands 3â€“1 after extra time in the final. This win was the first World Cup title for Argentina who became the fifth team (after Uruguay, Italy, England, and West Germany), to be both hosts and world champions. Gallego, Kempes, Bertoni, Luque, Ortiz (78 Houseman). Argentina 3 (1) The Netherlands 1 (0) after extra time. The 1982 FIFA World Cup, the 12th FIFA World Cup, was held in Spain from 13 June to 11 July, 1982. Spain was chosen as hosts by FIFA in July 1966. The tournament was won by Italy, after beating West Germany 3â€“1 in the final. Italy equalled Brazil’s record of winning the World Cup 3 times. For the first time the World Cup was expanded to feature 24 teams, 8 more than in the previous tournament 1978. West Germany 3 (1) France 3 (1) after extra time, West Germany won 5-4 on penalties. Rummenigge (81 MÃ¼ller), Fischer, Littbarski. Tardelli, Orialli, Conti, Rossi, Graziani. The 1986 FIFA World Cup, the 13th staging of the FIFA World Cup, was held in Mexico from 31 May to 29 June. Colombia had been originally chosen to host the competition by FIFA but, largely due to economic reasons, was not able to host the competition and officially resigned in 1982. Mexico was selected as the new host in May 1983. The tournament was the second to feature a 24-team format, although unlike the previous edition in 1982, the second round of the tournament was played on a knock-out basis rather than groups. It was won by Argentina (second title after 1978), who beat West Germany 3â€“2 in the final at Mexico City’s Estadio Azteca. The 1990 FIFA World Cup was the 14th FIFA World Cup, the quadrennial international football world championship tournament. It was held from 8 June to 8 July 1990 in Italy, the second country to host the event twice. Teams representing 116 national football associations from all six populated continents entered the competition, with its qualification process beginning in April 1988. Twenty-two teams qualified from this process, along with host nation Italy and holders Argentina, for the finals tournament. The tournament was won by West Germany, who claimed their third World Cup title by defeating reigning champions Argentina 1â€“0 in the final, a rematch of the previous final four years earlier. Hosts Italy beat England 2â€“1 to finish third after both lost their semi-finals in penalty shootouts. The 1990 World Cup is widely regarded as one of the poorest World Cups ever. It generated a record low goals-per-game average and a then-record 16 red cards were handed out, including the first ever dismissal in a final. Despite the low goalscoring, the 1990 World Cup stands as one of the most watched events in television history, garnering an estimated 26.69 billion non-unique viewers, compiled over the course of the tournament. At the time it was the most watched World Cup in history in non-unique viewers, but has subsequently been bettered by the 1994 and 2002 FIFA World Cups. The 1994 FIFA World Cup, the 15th staging of the FIFA World Cup, was held in the United States from June 17 to July 17 1994. The United States was chosen as hosts by FIFA on 4 July 1988. Brazil became the first nation to win four World Cup titles when they beat Italy 3-2 in a penalty shootout after the game ended 0-0 after extra-time, the first World Cup final to be decided on penalties. Average attendance was nearly 69,000, which broke records that had stood since 1950, due to the bigger capacities of the American stadiums compared to those of Europe and Latin America. The total attendance for the final tournament of nearly 3.6 million remains the highest in World Cup history, despite the expansion of the competition from 24 to 32 teams (and from 52 to 64 matches) in 1998. It was also the highest-attended single sport event in U.S. history. The 1998 FIFA World Cup, the 16th FIFA World Cup, was held in France from 10 June to 12 July 1998. France was chosen as host nation by FIFA on 1 July 1992. The tournament was won by France, who beat Brazil 3-0 in the final. France won their first title, becoming the seventh nation to win a World Cup, and the first host nation to win the tournament since Argentina in 1978. The 2002 FIFA World Cup was the 17th staging of the World Cup, held in the Republic of Korea and Japan from 31 May to 30 June. The two countries were chosen as hosts by FIFA in May 1996 and was the first tournament in its history to be hosted by two countries. It was also the first World Cup held in Asia. This World Cup was also the last wherein the Golden Goal rule was implemented. Brazil won the tournament for a record fifth time, beating Germany 2â€“0 in the final. Turkey beat Korea Republic 3â€“2 in the third place match. The 2006 FIFA World Cup was the 18th edition of the FIFA World Cup, the quadrennial international football world championship tournament. It was held from 9 June to 9 July 2006 in Germany, which won the right to host the event in July 2000. Teams representing 198 national football associations from all six populated continents participated in the qualification process which began in September 2003. Thirty-one teams qualified from this process, along with the host nation, Germany, for the finals tournament. The tournament was won by Italy, who claimed their fourth World Cup title. They defeated France 5â€“3 in a penalty shootout in the final, after extra time had finished in a 1â€“1 draw. Germany defeated Portugal 3â€“1 to finish third. This was the first World Cup with three Portuguese-speaking national football teams, namely Portugal, Brazil and Angola. It also first featured the first all-European World Cup semi-finals since 1982. The 2010 FIFA World Cup will be the 19th FIFA World Cup, the premier international football tournament. It is scheduled to take place between 11 June and 11 July 2010 in South Africa. The 2010 FIFA World Cup will be the culmination of a qualification process that began in August 2007 and involved 204 of the 208 FIFA national teams. As such, it matches the 2008 Summer Olympics as the sports event with the most competing nations. This will be the first time that the tournament has been hosted by an African nation, after South Africa beat Morocco and Egypt in an all-African bidding process. This decision left the Oceania Football Confederation as the only confederation yet to host the FIFA World Cup. Italy are the defending champions. The draw for the finals took place on 4 December 2009 in Cape Town. Thanks for that fantastic site article! I very enjoyed reading it, you happen to be a perfect author. I in fact added your website to my favorites and will appear back with the futureto your website. Keep up the extremely good task, I wish you will have a great day!